Following is Part 2 of my interview with poet and writer John Guzlowski. Today, John, a professor emeritus of Eastern Illinois University, addresses my specific questions on his poems about his parents' experiences during the Holocaust. John's father, Jan Guzlowski, born in Poland in 1920, was arrested by the Nazis in 1940 and sent to Germany, where he suffered five years as a slave laborer and then another six years as a "displaced person". His mother, Tekla Hanczarek Guzlowski, was born in 1922, also in Poland. She was detained during a roundup in 1942 and sent to Germany, too, where she endured three years as a slave laborer and six years as a "displaced person". Jan Guzlowski and Tekla Hanczarek Guzlowski met in 1944. 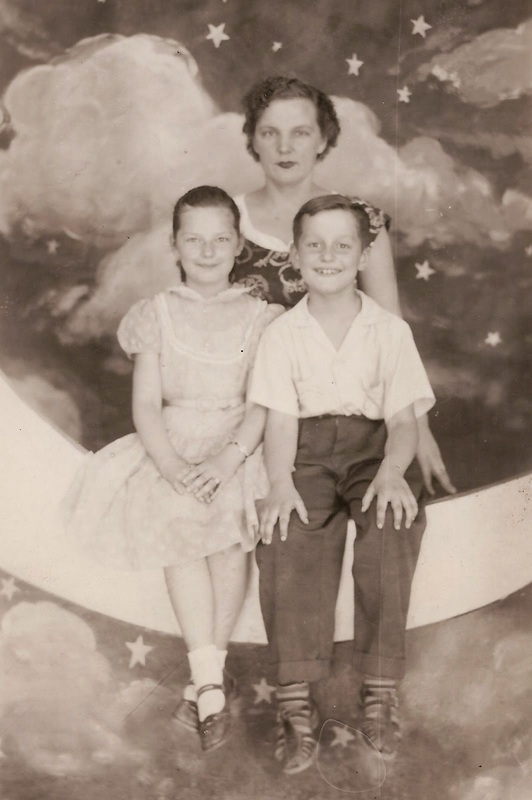 They came to America in 1951 with their two children, John and his sister Donna. Please read "Living the Stories: During and After the War", Part 1 of my interview, in which John talks about how he came to know the stories of his parents' experiences during and just after World War II. Part 1 also provides a brief biographical profile and links to John's poetry collections: Language of Mules, The Third Winter of War: Buchenwald, and Lightning and Ashes. Family photos and poems are courtesy of John Guzlowski. Maureen Doallas: You state in your Rattle interview "I had to overcome their world, before I cold enter it." How did you "overcome" your parents' world so that you could write your first poem, "Dreams of Warsaw, September 1939", and subsequent poems? How did you create the psychological space you needed to begin and also sustain your writing? John Guzlowski: I moved away from them—physically and psychologically and emotionally and culturally and intellectually. I stopped going to church. I left home. I didn't maintain my Polish-ness, I stopped talking Polish, I stopped eating Polish food. I went to grad school, I immersed myself in American culture. I studied Emerson, Whitman, Thoreau, Dickinson, Eliot, John Dos Passos, Eugene O'Neill, Fitzgerald, and on and on. I became the person my parents didn't want me to be. 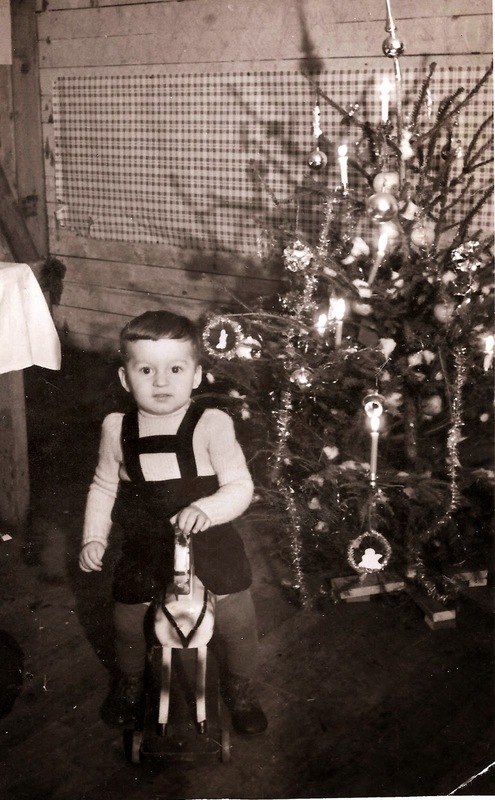 They wanted me to be a good Polish boy, living Polish, going to church [John's parents were Catholics], living at home, dreaming of returning to Poland. . . like my dad. I guess I did what some immigrant kids always do. I said, your world is not my world. Why did I do this? I think part of it had to do with the sense that, being Polish, I was somehow hobbled. We were immigrants, refugees, people who didn't exist in the world that I saw around me. The people I saw every day didn't do things that I assumed Americans took for granted. When I was a boy growing up in Chicago, I never knew anyone who ever went to a professional ball game. This, despite the fact that I lived about two miles from Wrigley Field and maybe three miles from Comiskey Park. It was as if there were written restrictions: Poles could not go to ball games. Or to museums. Or to zoos. Ever! I'm sure now that much of this was simply the result of growing up in a working-class neighborhood with working-class parents [for whom] even one night at a ball game was an extreme extravagance. Who could afford a trip to a ballpark or a movie theatre downtown? I realize this now but, at that time, I had the feeling that Poles just didn't do such things. Only Americans did them. MD: You have written a chapbook, Language of Mules, and two full collections, The Third Winter of War: Buchenwald and Lightning and Ashes. I call your work poems of witness. What makes poetry so apt a form in which to relate your parents experiences? JG: That's a hard question. I've written poems and fiction, and I've read both in front of audiences. I think that poems have an immediacy and a directness that fiction can't easily match. A poem, to me, feels like one person talking to another person, without the sort of contextualizing—framing—that goes on with a piece of fiction. Let me give you one example. I wrote a sonnet called "Early Fall", about the German soldiers who came to my mother's door and paused before coming in to kill her family. The poem creates a sense of fear and terror [that] my mom felt. A while after I wrote it, I looked at it again and asked myself, what happens after the Germans come in? The answer led me to write a short story, "The German", and a novel, The Road of Bones. Both focus on an imagined German soldier who was involved in the killing of my mother's mother, her sister, and her sister's infant daughter. The difference for me [between these works and the poem] is that the poem focuses in ways that the fiction cannot. What people always say about how characters in novels develop a life of their own was quite true in my case as a writer. MD: Of all the poems, of which are you most proud, and why? JG: I've been writing about my parents for almost 36 years now, and the two poems that I'm most proud of are two that, for me, get at the heart of my parents and their experience. They are the poems that I feel tell me who my parents were. The poems are "What the War Taught Her" and "What My Father Believed". My mother was a strong, complicated, and pessimistic woman who was brutalized in ways I will never understand. She had suffered so much, been beaten so much, lost so much of her faith in God and man, and still she possessed enough of something that kept her going, kept her capable of feeling hope. When I read "What the War Taught Her", this is what I feel. 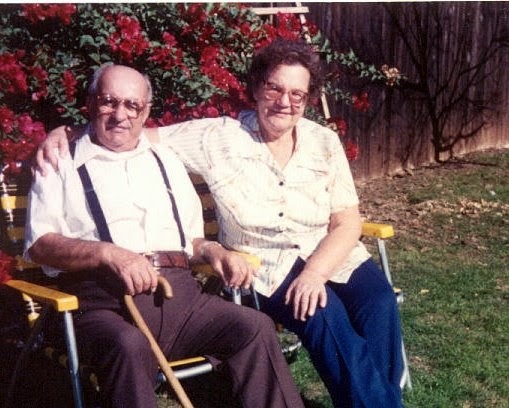 My father was a straightforward, uneducated, hard-working man who loved his family, people, and God. He was always ready to help a neighbor, help strangers. I don't know if he learned this in Buchenwald but he showed it, always. This is what I tried to suggest about him in "What My Father Believed". I do a lot of poetry readings in front of school children, college students, and religious groups and these two poems are ones that I try to end with, the poems that try to show people what my parents were like. MD: Reading your work, I am struck by its stripped-down language, clarity of imagery, and memoir-like quality, and also how profoundly moving the narrative arc is. What conscious or deliberate decisions did you make in shaping and revising the facts to which you give your parents their voices? JG: What I most tried to capture was the way the stories were told to me. When my parents first told me many of the stories that became my poems, they spoke in plain language, straightforward language. They didn't try to emphasize the emotional aspect of their experience; rather, they told their stories in a matter-of-fact way. This happened, they'd say, and then this happened: "The soldier kicker her, and then he shot her, and moved on to the next room." I wanted to capture that clarity. I didn't want to stand in the way of that. Another thing I tried to do to capture that sense was to use my parents' voices as much as I could. Going through my books, you find my parents speaking, using words or phrases that I remembered them using. I've consciously done this. My sister Donna gave me the highest compliment when she read Lightning and Ashes. She said, "I can hear mom and dad in the poems." MD: While writing, did you ever experience a feeling of being overwhelmed, that the suffering was so great that it could not be reduced to poetry? If yes, how did you resolve that feeling so that you could push on with the writing? JG: Yes, I felt overwhelmed. Sometimes, writing the poems, I could hear my parents' voices telling me the stories again. My eyes would tear up but I would keep writing. I knew the writing was important for both my parents and for their friends and relatives who couldn't tell their own stories, Writing, I sometimes felt that I was writing for all those forgotten, voiceless refugees, DPs, and survivors whom the last century produced. There was that, and my mother's voice in my head, telling me, "Johnny, don't be such a baby!" MD: Have you written about your own experience as a "DP" or as a child of Holocaust survivors? I think the two most popular essays are "Growing Up Polish American" and "Wooden Trunk from Buchenwald". The latter was included in an anthology of nonfiction pieces about immigrants [that was published] by Longman Pearson for high school students. I've also written a sequence of prose poems about my childhood. It's called "Promise Land". It talks about when we came to America by troop ship, the years we spent working on a farm outside of Buffalo to pay off our passage, and living in Chicago after that. I pretend I am a baby, walk on all fours, see things I don't understand, a couch, a lamp, a new refrigerator. Later, my hassock seat is a blue boat in a white ocean, the waves higher than the trees in the front yard, and I think about the lost girl in the story my father told me: why was she in the wrong forest, was the girl dark like the children who live next door in the red house, why did the witch spin in her rages, dance a polka and then fall down? Later, I look out the window and see a penny in the grass. When I go outside to get the penny, it is not there but when I stand again at the window, there it is. I wonder who I will be in the story my father will tell me when he comes home from the factory where he makes white string like the string in my shirt. Will I be the sister who runs away or King Sobieski riding a blind horse searching for her in the yellow mountains? Later, I bake bread in the TV set and kiss everything in the house. The dirt in the flower pot tastes like chocolate, the carpet hurts my lips. Later, I am a rabbit and a father afraid of stealers, and I grow wings and fly to the ceiling above my head. MD: You read and make presentations before many diverse groups of people, including students. What do you most hope to convey to your listeners? JG: I want people to know about how much suffering took place during the war. I want people, too, to think about how much suffering continues to go on. I try to always tell people that more people have died as a result of genocide since 1948, when the UN officially made genocide a crime against humanity, than died during the Holocaust. I hope people go away from my presentations with a sense that there is suffering, and we need to help stop it. Please join me tomorrow for "Keeping the Stories Alive", Part 3 of my interview with John Guzlowski, who answers my final questions about his parents, his visits to Poland, his writing since his parents' deaths, and hope. My father hugged me and said, "In the spring the snow will melt and turn to water," and I asked him will the water be like the sea, will a bus take us back to Buffalo or will we sail on the hard gray waves all the way back to Germany. My mom answered before he could. "This is America, and here's where we stay."